We all know recycling must be part of our lives to protect the environment, which every living thing needs to live. But the rules for recycling are not as simple as throwing certain types of materials into the blue bin and others not. They change depending on where you live. Some items need to be cleaned and should be crushed before tossing away. And improper recycling habits can affect and spoil the ability to recycle anything else in that same bin. On top of this, the rules continually change. At Absolute Destruction and Recycling Corp., we care about protecting the environment as well as protecting your sensitive residential and commercial data. We provide document destruction services across Toronto and surrounding areas that include proper and safe recycling methods as a AAA-NAID certified company. Throwing away the wrong things costs the city more. Most people have good recycling intentions but are trying to recycle items that belong in the garbage. Workers must take extra time to sort through the massive piles of materials and remove the erroneous items. It’s important to familiarize yourself with your municipality’s rules on recycling and avoid overloading the blue bin with things that belong in the compost, trash, or even donation bins instead. Clean your food containers to avoid contamination. It’s a bit of an extra hassle, but it’s necessary to clean your bottles, cans, and take-out containers before attempting to recycle them. Not only do workers need to take extra time to clean any pieces that can be salvaged, but a soiled container can touch and contaminate other items in the bin so that none of them can be recycled in the end. For instance, if the remnants from an open spaghetti sauce jar touches a collection of paper in a blue bin, none of the paper will be usable and must be thrown in the trash. Strange items end up in recycling bins and can even endanger workers. Recycling plant employees regularly come across a variety of definitely-not-recyclable items daily. Some items from a CBC story include blood bags, IV tubing, used needles, dead animals, bullets, and toxic chemicals. These items take extra care to deal with, which adds up to a lot of extra costs. Data can be recovered from improperly recycled electronics and paper. The best way to ensure data is irretrievable when recycling old electronics and devices is to have professionals crush them first and then recycle them safely. Storage drives and disks believed to be wiped can have data recovered on them, and identity theft can occur when passing off technology to the city or a second-hand buyer. 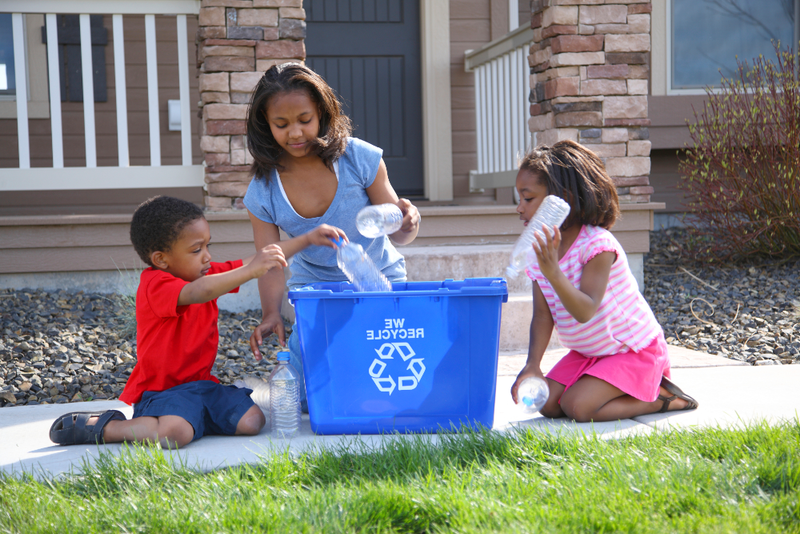 Check-in with current recycling rules and update your knowledge. As an example, the rules surrounding contamination have changed because China, which is a major importer of the world’s recycled materials, is no longer accepting the same materials in the same condition. This is good news for China’s environment, but it means stricter recycling habits for North Americans. As above, you need to learn what condition items need to be in before they’re placed in the bin. At Absolute Destruction, we offer residential document destruction services that includes technology in addition to paper shredding and full recycling services when the job’s complete. Give us a call if you’re looking for shredding companies in Kitchener or surrounding areas to take care of your residential and commercial destruction needs.